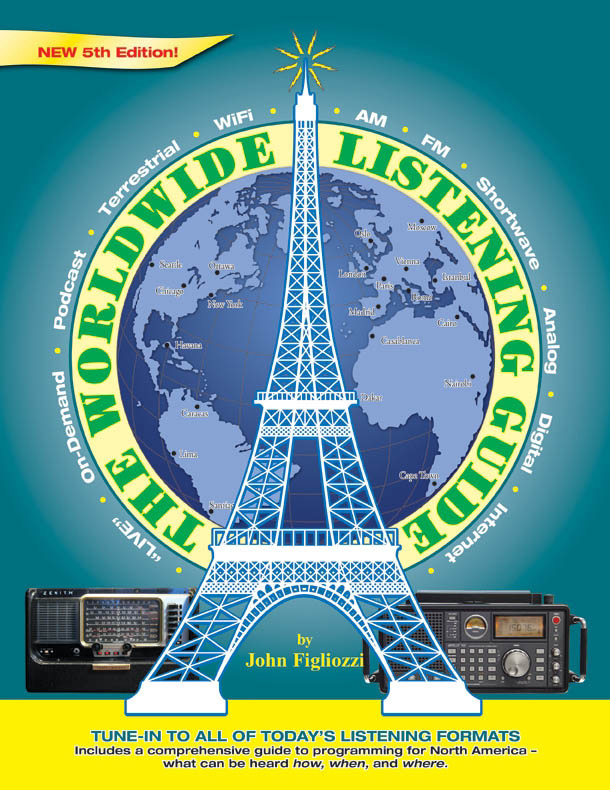 I’m very pleased to have just received the 7th edition of John Figliozzi’s Worldwide Listening Guide (WWLG), the latest, most updated version of the excellent guide I’ve often reviewed. As I’ve said, you may want a copy of the WWLG in your shack, especially alongside your computer or Wi-Fi radio. SWLing Post readers know that I’m a huge fan of the Word Radio TV Handbook (WRTH); it’s my go-to guide for radio frequencies and schedules. Well, Figliozzi’s Worldwide Listening Guide is my go-to for programming and content, not only helpful on the shortwaves, but also handy when tracking online content. But the fact is, there’s so much content out there, it’s hard to know where to start. This is where the WWLG comes in: Figliozzi exhaustively curates more than 4,000 programs (! ), indexing their airing times, stations, days of broadcast, program types, frequencies, and web addresses. Additionally, he sorts the programs by genre: arts, culture, history, music, sports, and more. And Figliozzi also includes a well-thought-out directory of at least forty genres. In short, this directory has helped me not just locate, but identify, programming I would never have known about otherwise. Thus the WWLG has become a permanent reference book in my shack, alongside my trusty WRTH. There’s a surprising amount of information packed into this slim, spiral-bound book…enough to keep even a seasoned DXer contented for years. With a retail price under $25, I feel like the WWLG is an excellent bargain. This entry was posted in Books, New Products, News, Reviews, Schedules and Frequencies, Shortwave Radio, WiFi Radio and tagged John Figliozzi, NASWA, Review of the Worldwide Listening Guide, The Worldwide Listening Guide, Worldwide Listening Guide Review, WRTH, WWLG on January 13, 2016 by Thomas. This entry was posted in Current Events, News, Shortwave Radio and tagged 2013 WRTH Review, NASWA, Plymouth Meeting PA, SWL Fest, Winter SWL Fest on January 19, 2013 by Thomas. On the SWLing Post, I write an annual review of the World Radio TV Handbook–a fantastic and comprehensive frequency guide, with a focus on broadcasters and frequencies, though it certainly lacks the programming detail–i.e. content–I so enjoyed in the late Passport To World Band Radio. That’s where John Figliozzi’s The Worldwide Listening Guide (WWLG) comes in–in short, I think you need a copy in your shack, not to mention, next to your computer. The Worldwide Listening Guide is like no other frequency/schedule guide you’ll find on the market. First of all, it’s instantly apparent that the author, John Figliozzi, is a DXer, since the book has a spiral bind–which permits it to lie flat when open, and allows the pages to be folded back to take up less table space. A small detail, but important for those of us who want an easily accessible reference in the shack. Figliozzi, moreover, is a noted SWLer, a long-time active member of the North American Shortwave Association, co-host of the annual NASWA Winter SWL Fest in Plymouth Meeting, PA–and did I say, a great guy? But back to the book: perhaps what makes the WWLG so unique is its comprehensive look at “radio” listening in general, guiding the reader through the many forms radio content now takes: live, on-demand, WiFi radio, podcasts, satellite, internet, AM/FM and, of course, shortwave radio. He explains the pros and cons of each delivery method and a little about its utility. I thought that I wouldn’t gain a lot from these beginning sections as I’m quite familiar with all of them, but was pleasantly surprised to find all sorts of interesting facts hidden within; no doubt you will, too. Figliozzi also spends a good deal of time time covering the various devices–such as WiFi radios, satellite radios, apps, shortwave radios, portables–that have become indispensable tools of the trade. My favorite part of WWLG, and the sections I turn to the most, are those covering programming and content. Figliozzi exhaustively curates more than 4,000 programs sorted by time of day, station, days of broadcast, program types, their frequencies and web addresses. He also sorts the listings by genre: from the arts, culture and history, to music, sports and more. In fact, he has a well-thought-out list of 34 genres that have helped me locate programming I would have otherwise have never known about. For example, SWLs will find his “Media and Communications” genre listing programming from Allan Weiner Worldwide, Glenn Hauser’s World of Radio and DXers Unlimited to Click and Tech Nation. Each listing tells you exactly when you can catch the program, and where. 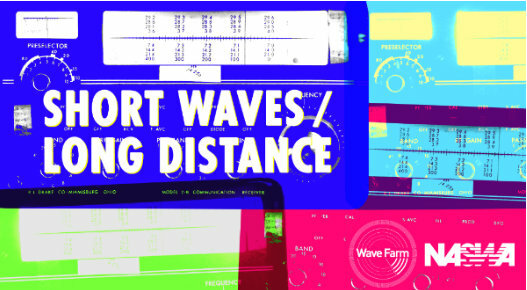 What’s also great is the fact that if I find a program I like, I can cross-reference its offering on shortwave–and, if I miss that, I can look up where to find it on demand, on the internet. I have the 5th edition of The Worldwide Listening Guide–the latest. While I like to have an annual guide, I actually believe this guide will be valid for several years. True, some programming comes and goes–as we’ve seen shortwave stations leaving this year–but, Figliozzi also actively maintains a companion website, The Worldwide Listening Guide Online, which he keeps up-to-date with the latest changes; there is even a blog with his comments and news items. He tells you when to cross out and change listings in your WWLG as programming evolves. In short, I like the WWLG and have decided that it will become a permanent reference book in my shack, along side my trusty WRTH. There is a surprising amount of information packed into this slim, spiral-bound book. Enough to keep even the seasoned DXer happy for years. This entry was posted in Books, Reviews, Schedules, Schedules and Frequencies and tagged John Figliozzi, NASWA, Review of the Worldwide Listening Guide, The Worldwide Listening Guide, Worldwide Listening Guide Review, WRTH, WWLG on August 1, 2012 by Thomas.